NAWBO-SA’s programs have been created with you in mind, the woman business owner seeking like-minded professional women in business. Learn more about a specific program, register for an event, or to contact us with your questions about participation and sponsorship. During this lunch we will be presenting the Entrepreneurial Connections 2018-2019 Scholarship Winners with their checks - please join us in showing them our support and encouragement. Tara Hooper is a certified image consultant and personal brand specialist who has helped people present their best selves for over 20 years. Founder of The Style Signature and Signature Consulting, she believes that image perception directly impacts profitability and productivity and is passionate about providing effective tools and strategies to help clients showcase their most confident, authentic selves. Her own evolution from teen beauty queen to professional hair stylist & makeup artist to successful image consultant and style advisor gives her unique insights and anecdotes sure to engage any audience. An entrepreneur and savvy businesswoman at heart, Tara has an innate ability to connect with people – whether an individual potential client or a room full of conference attendees. Starting out as a hairstylist, she developed her personal brand to stand out in a competitive industry before social media and personal branding were common marketing tools. Her ability to set herself apart from the pack and stay true to herself translated into successful businesses with devoted followers, first in the beauty industry and now as a renowned image consultant. 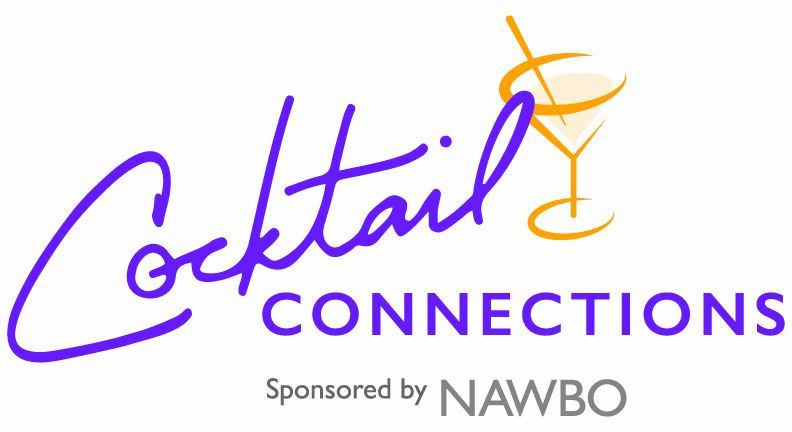 NAWBO cocktail connections provides an opportunity for NAWBO members, partners and guests to get to know each other in a relaxed and fun environment. Make connections and start new relationships for business and life. After a successful career, primarily in marketing positions, Linda Elliott founded Elliott Connection, LLC in 1999, a company specializing in developing profitable connections. She becomes a high-level, strategic partner identifying qualified prospects for her clients and facilitates the meeting process. She concentrates on helping to develop business alliance relationships. Given her active role in the community, she is able to assist her clients in becoming more involved, in order to elevate awareness of their businesses. Her expertise lies in positioning companies in the Greater San Antonio marketplace. Come prepared to receive some connection suggestions that just might prove worthwhile for you. As a new member, long time member or prospective member of the San Antonio Chapter of the National Association of Women Business Owners (NAWBO-SA), we want to welcome you and invite you to a Member Orientation meeting. If you have yet to get involved in some way with a NAWBO-SA Committee - then you should attend an upcoming orientation. A Member Orientation will help you to get to know other members, board members and the inner-workings of our organization. We want you to receive the maximum value out of your membership. We want to know what your expectations are and how to best help you grow your business. March 28, 2019 WBOA - Celebration! March 22, 2018 WBOA - Celebration! October 06, 2017 Get most of out NAWBO! September 14, 2017 Why NAWBO? Copyright © 2017 NAWBO - San Antonio. All Rights Reserved.